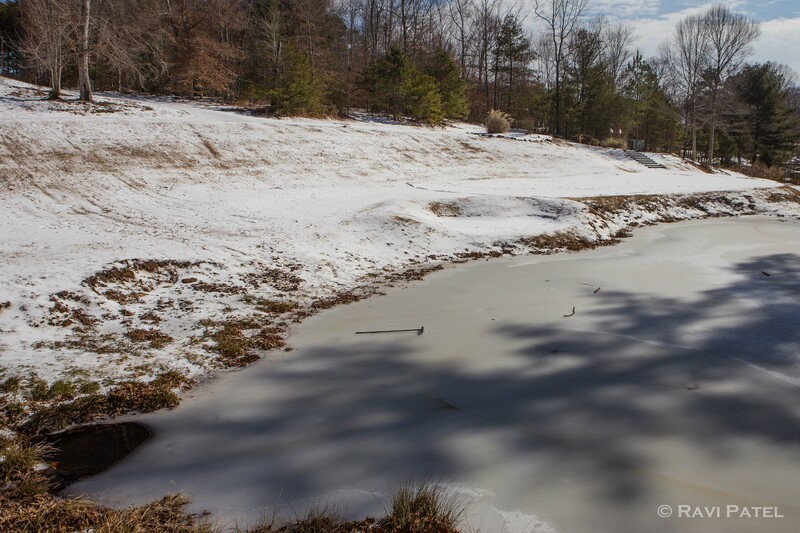 This entry was posted in Landscapes, North Carolina, Oceans and Lakes, Oliver's Landing, Photography, Winter and tagged bunker, golf, ice, pond, sand. Bookmark the permalink. Are those rakes laying there? It looks so cold. Brrr.